The construction industry really needs disruption. It’s the only sector of the economy that hasn’t improved its productivity in the last 50 years. EIR Healthcare was founded in 2016 within NYU’s Innovation Lab to commercialize an engineering concept developed by Gunter Geiger, Dipl.-Ing. to improve hospital workflow and the patient experience. Gunter Geiger, an internationally recognized industrial engineer and father of EIR’s CEO, Grant Geiger, helped transfer lean manufacturing and Toyota Production Processes to the U.S. furniture and automotive industries. During Gunter Geiger’s 40+ year career, he led over 1,000 projects for various clients including. The Ford Motor Company, Chrysler, Knoll, Herman Miller, Wal-Mart and others. During an elective eye surgery at the Universitätsklinikum in Erlangen, Germany, Geiger realized there was a significant process improvement opportunity around hospital design and construction. What began as a routine surgery turned into an evidence-based design study at the Universitätsklinikum Erlangen with Prof. Dr. Friedrich Kruse to develop the Ideal Hospital. What derived from that project is EIR Healthcare and its flagship product – MedModular™. 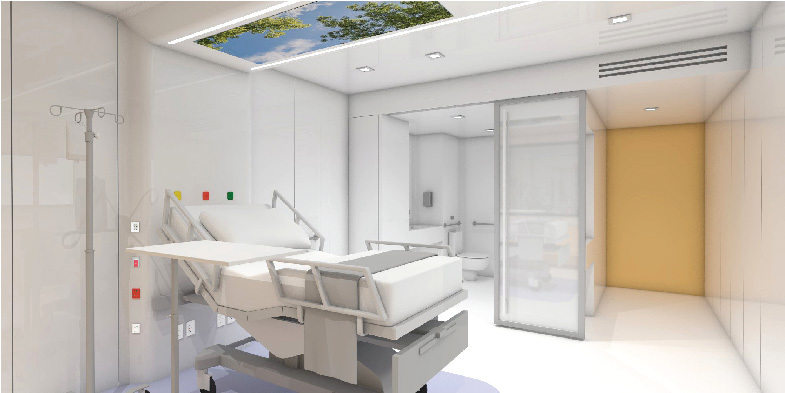 After years of innovative engineering design work, MedModular was introduced to the market with much acclaim in 2018 and immediately received iF Design’s Professional Concept Award – Hospital of the Future. 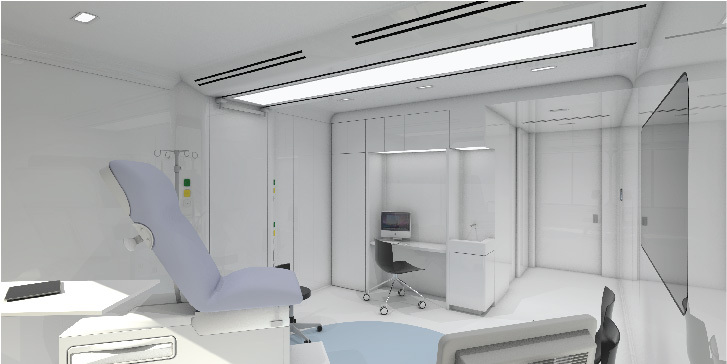 MedModular is the first patient room in a box with smart room features preinstalled and ready to plug-in. 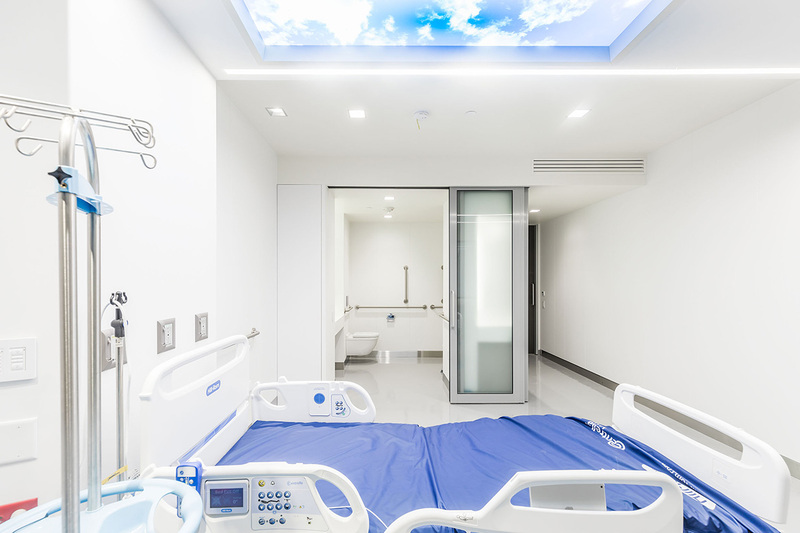 Patient room smart technology and human factors engineering is used to improve aspects including, but not limited to,healing, patient experience, patient outcomes and hospital efficiency. 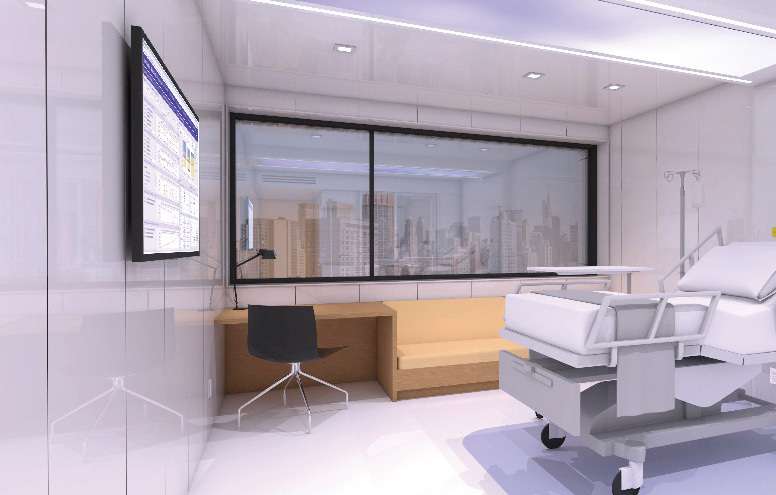 EIR has developed a suite of smart room solutions under the MedModular brand for its three initial target markets: (i) hospitals/clinics; (ii) testing labs; and (iii) life sciences research and development facilities. Current construction practices have not kept pace with global technological advances and EIR’s founder recognized that today’s expensive, slow and low-tech process was ripe for disruption. EIR designs, engineers, manufactures and delivers state-of-the-art, modular smart-room solutions at a significantly lower cost in a much more attractive timeframe than traditional construction. 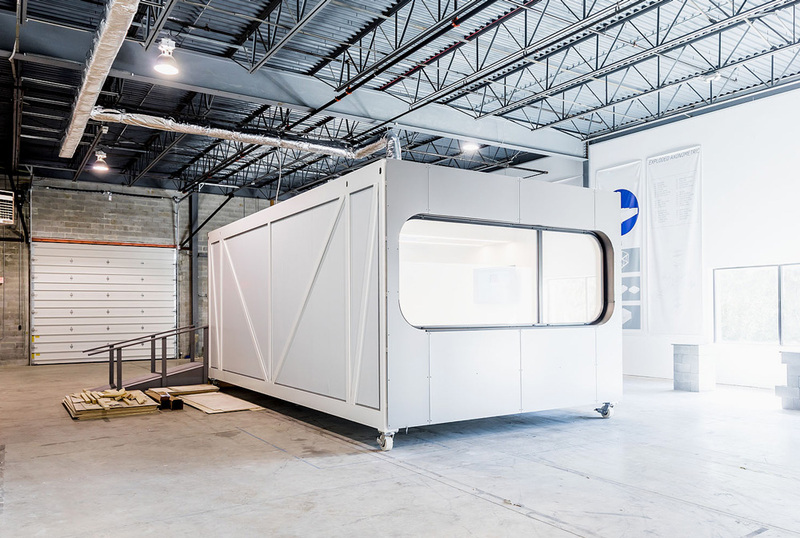 With its MedModular construction process, EIR can deliver high quality, fully compliant modular building solutions with more precision and consistency, revolutionizing the industry. From workflow optimization, technology adoption, and facility design and development, EIR has the solutions to drive maximum efficiency for its customers all across the healthcare ecosystem, including hospitals, labs and life sciences companies. For years, technology innovation has outpaced traditional construction methods. While arguably all construction could benefit from innovation, the highly engineered specifications in healthcare are particularly challenging to control on-site. As a result, healthcare construction is notoriously expensive, error prone and delayed. Aging hospitals, growth in outpatient clinics and large investments in testing labs and life sciences R&D are all driving market demand for new construction solutions in healthcare. These market trends provide a compelling backdrop and demand for EIR’s solution: innovative modular construction for the healthcare ecosystem.